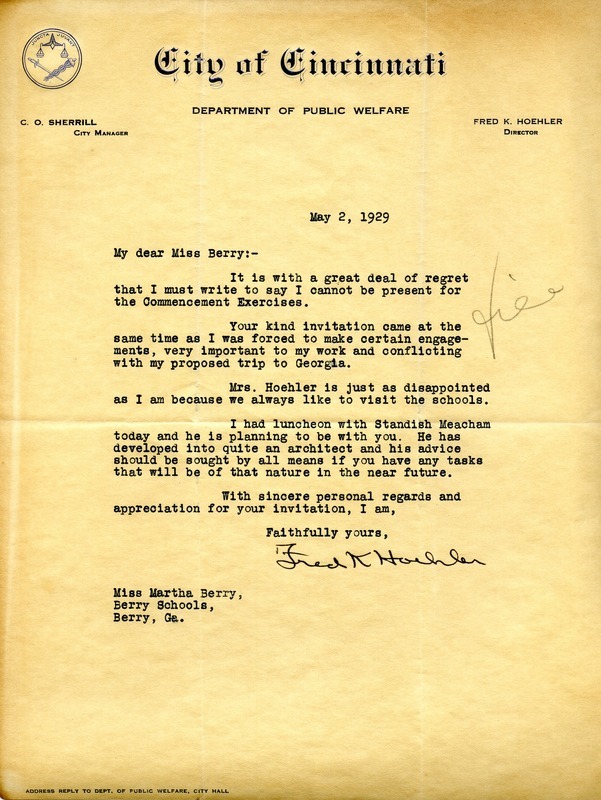 Fred K. Hoehler writes to inform that he will be unable to attend the Commencement Exercises but that Standish Meacham will be coming. Fred K. Hoehler, “Letter to Martha Berry from Fred K. Hoehler.” Martha Berry Digital Archive. Eds. Schlitz, Stephanie A., Sherre Harrington, Kelli Kramer, et al. Mount Berry: Berry College, 2012. accessed April 18, 2019, https://mbda.berry.edu/items/show/10285.